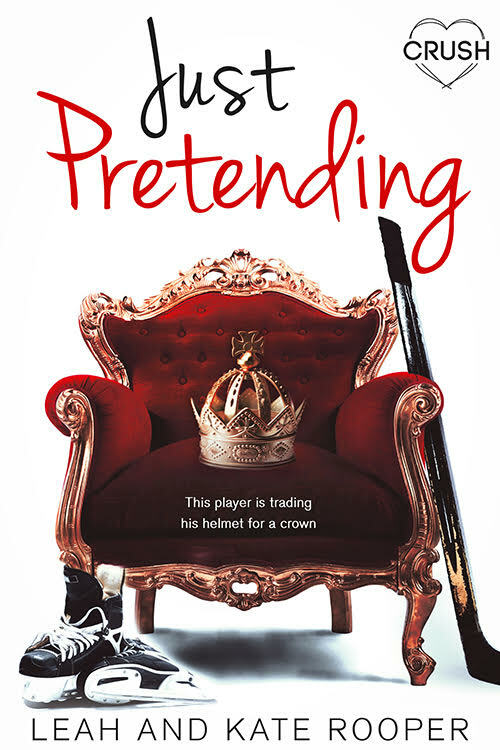 We were so thrilled when we received the cover for JUST PRETENDING! As this is the third and final book in the series, it is so neat to see all the covers together. We also feel like this is the grandest cover, with the giant throne and crown, so it’s the perfect image for the last book in the series! We love the white, wintry background and the skates and hockey stick. It's not easy being royal. 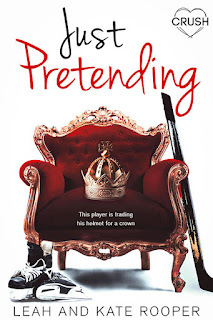 Sixteen-year-old Evangeline wears her crown proudly, but between her duties and her overprotective big brother, the idea of romance is just a dream. But a chance encounter in Chicago changes all that…. 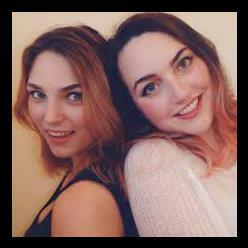 Leah and Kate Rooper are sisters from Victoria, British Columbia, Canada. Growing up beside the Pacific Ocean and inside a temperate rainforest fed their sense of adventure as children, and nourished a curiosity for strange and distant lands. They fed this curiosity with books - lots and lots of books. After experiencing the magic of Middle-earth, they began creating their own worlds. When they're not writing, Leah and Kate spend their time blogging and vlogging about their travel adventures and their writing journey.